I have a passion for International Business and Real Estate, however, I apply it to the day to day work on the local market. I have a client base of people from all regions of the world and that makes my work so much more enjoyable, every day is a learning experience, every day my life is enriched by the people that I meet and work with, and I am very grateful for this business that allows me the opportunity to do that. 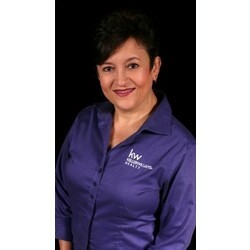 I serve as the 2018 Atlanta Chapter President for the National Association of Hispanic Real Estate Professionals (NAHREP), Member of the Associate Leadership Council for Keller Williams Realty Stockbridge, I am the KW Global Properties Specialist Southeast Region Ambassador and Advisory Council Member for the Salvation Army Jonesboro Citadel Corp.
Specialties: International Real Estate, both inbound and outbound, Residential Real Estate.